No country has provided evidence that missiles Iran is testing are designed to carry a nuclear warhead, a senior Russian diplomat says, adding that the Islamic Republic's ballistic missile tests “don’t violate a UN Security Council resolution” in any way. "We do not think these launches violate Resolution 2231, because the resolution does not ban the tests," the head of the ministry’s Department for Nuclear Non-Proliferation and Weapons Control, Mikhail Ulyanov, told the Interfax. A Security Council resolution, adopted after the Iran nuclear deal was signed last year, calls for Iran not to launch any ballistic missiles capable of delivering a nuclear weapon. Ulyanov stressed that the resolution only contains a “call to refrain not from any ballistic missile tests, but exclusively from the tests of the missiles designed to carry nuclear warheads. “As stated by the Iranians, the missiles they test are incapable of carrying nuclear warheads. No one has yet provided any evidence that this is untrue,” Ulyanov said. "So the question emerges, what violations we are talking about? No violations whatsoever." Iran's Supreme Leader Ayatollah Ali Khamenei, who supported last year's historic nuclear deal with world powers, said on Wednesday that missiles were vital for the Islamic Republic's future. "Those who say the future is in negotiations, not in missiles, are either ignorant or traitors," Khamenei was quoted as saying by his website, according to Reuters. Earlier this week Washington has called for a Security Council meeting to respond to Iran's recent ballistic missile tests which they say were carried out in defiance of a UN Resolution. A report from the US France, Britain and Germany, obtained by AP, reportedly calls the launches "destabilizing and provocative." 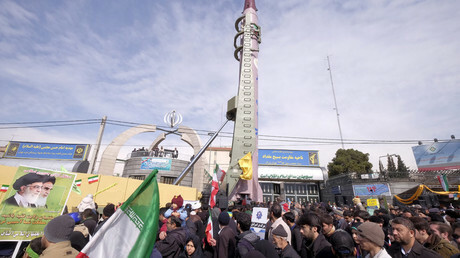 It claimed that the Shahab-3 medium-range ballistic missile and Qiam-1 short-range ballistic missile fired by Iran are "inherently capable of delivering nuclear weapons." The Islamic Revolutionary Guards Corps (IRGC) of Iran continued its test of ballistic weapons earlier this month by launching two Qadr missiles, which it said could hit targets in Israel. 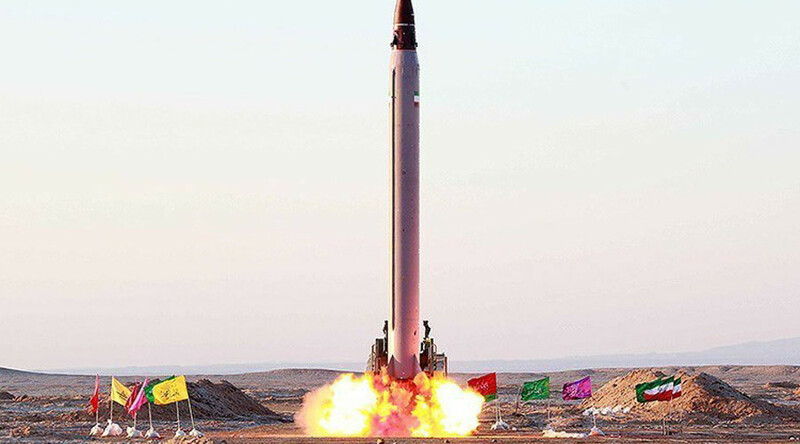 The IRGC reported firing several unspecified ballistic missiles from underground silos across the country. They are presumed to be Iran’s new Emad missiles, which Tehran first revealed in October 2015, saying they have advanced guidance systems. The test on March 8 was meant "to show Iran's deterrent power and also the Islamic Republic's ability to confront any threat against the Revolution, the state and the sovereignty of the country," the IRGC statement, published on its website, said. The Iranian missile tests were conducted in defiance of fresh US sanctions, imposed two months ago in response to the first Emad test. The Emad missile is believed to be developed from Iran’s Shahab-3 missile. It is a liquid-propellant ballistic missile with a claimed range of 1,700km and a 750kg payload. The missile’s primary improvement is said to be a better guidance system of the re-entry vehicle, reportedly reaching an accuracy of 500 meters.